The semester is about to start. I decided to have some fun on Facebook. I took some office shots (yes, my office is messy) and decided to retouch the photos by adding joke photos from Facebook; I wanted to see which friends noticed (without being specifically notified). One did. Of course, the color alone will give away which “on the wall” photos are genuine and which were put in (via Paint). But a fun question is: if those photos were to be genuine, what size and shape would they be in real life (to appear the way that they do in those shots). One would give the genuine dimensions of the genuine photos on the wall to help the student solve the problem. 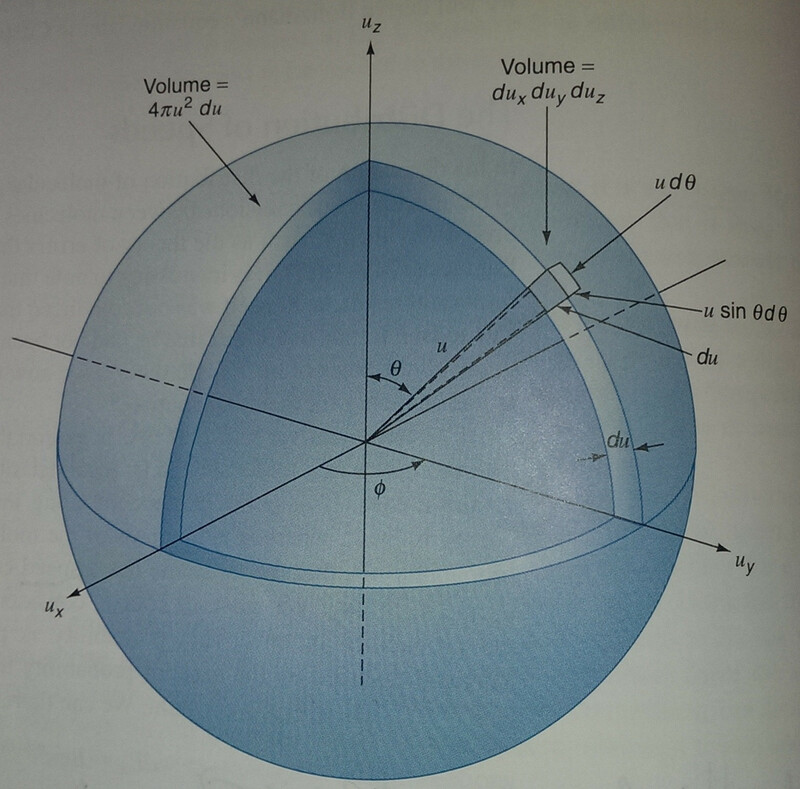 I talked about a method of finding the hypervolume of an n-ball in a previous post. To recap: the volume of the n-ball is that “hypervolume” (I’ll be dropping “hyper”) of the region described by . Here, we’ll explore this topic further, both giving a different derivation (from Greg Huber’s American Mathematical Monthly paper) and make some informal observations. Derivation: the argument I present can be tweaked to produce a formal induction argument that, if the volume is , it is proportional to the n’th power of the radius . The first integral is integral in rectangular coordinates within the boundary of the n-1 sphere. The rightmost integral is the same integral in generalized spherical coordinates (see Blumenson’s excellent Monthly article) where the first iterated integrals are those with angular limits with being the angular volume element. The middle integral is the volume integral. All are equal to the volume of the n-ball. The key here is that the iterated integrals evaluated over the entire n-1 sphere are equal to . Equality holds between the middle and right integral because in “angle/r” space, the r and angular coordinates are independent. 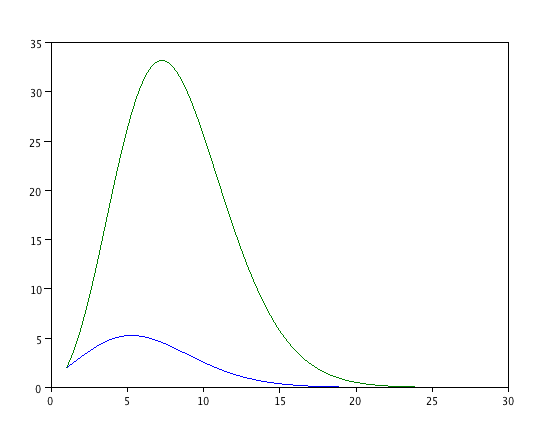 Equality between the leftmost and rightmost integrals holds because this is a mere change of variables. The left integral is just the n-th power of the Gaussian integral and is therefore and a substitution turns this into (recall ). Now when . can be thought of as the percentage of the cube with vertexes that is taken up by the inscribed unit sphere. The first graph is the ratio of the volume taken up by the ball verses the hypervolume of the hyper cube that the ball is inscribed in. 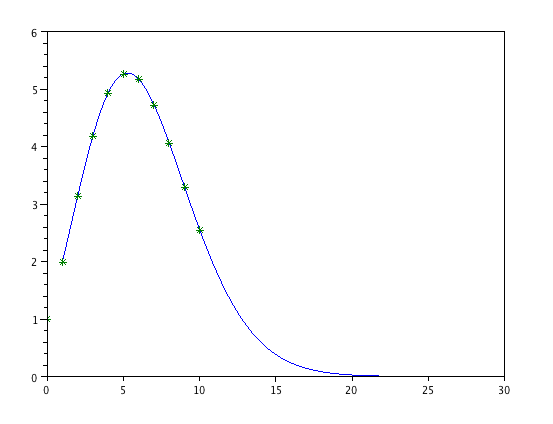 Next we see the the hypervolume peaks at n = 5 (max is between 5 and 6 )and then starts to decline to zero. 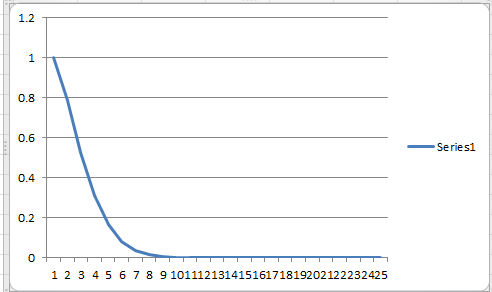 Of course there has to be an inflection point somewhere; it turns out to be between n = 10 and n = 11. Now we plot the hyperarea of the n-1 sphere vs. the hypervolume of the ball that it bounds; we see that more and more of the hypervolume of the ball is concentrated near the boundary as the dimension goes up. For more: see the interesting discussion on Division by Zero.